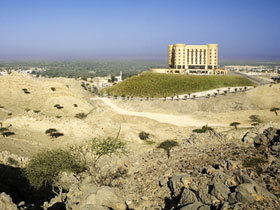 Golden Tulip Khatt Spings Hotel & Spa Ras Al Khaimah UAE - Ras Al Khaimah Discount Hotels, Resorts & Apartments!! Golden Tulip Khatt Springs Hotel & Spa Ras Al Khaimah - Ras Al Khaimah Hotels, Resorts & Aparments United Arab Emirates with Special Discounted on Published Rates!! An “Essenses” oasis for passion and sensuality awaits you in the luxurious deluxe accommodation, from the ambience to the design lends itself creating the perfect ingredient of sensuality, as inspired Khatt Springs signature mark “A heaven for the senses of well being”.